Sunrise Aviation currently has over 50 aircraft with eight of those now located in Jacksonville. The Jacksonville fleet covers the needs of students seeking aircraft for training from private pilot through commercial pilot, multi-engine and flight instructor. The fleet even includes the now sometimes difficult to find single-engine, complex aircraft still needed for certain ratings. Students wanting experience or even a complete instrument rating in a glass-cockpit airplane can choose our new Piper Warrior. 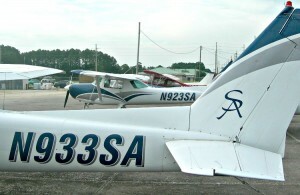 Sunrise Aviation has the largest fleet of Cessna 152s of any flight school in Florida. We also have a growing fleet of Cessna Skyhawks. Any aircraft based in Ormond Beach can be moved to the Jacksonville location with no more than an hour’s notice! The Cessna 152 is a two-seat, fixed tricycle gear, general aviation airplane. The 152, first delivered in 1977 as the 1978 model year, was a modernization of the proven Cessna 150 design. With a 112 hp Lycoming engine, it provides both the performance and fuel economy needed in this class of aircraft. A total of 7,584 C152s were produced worldwide. Support and parts for the aircraft remain available from Cessna Aircraft. Sunrise Aviation currently has 3 C152s based in Jacksonville, one with a Garmin 430 GPS. We offer students this economical choice for not only the private pilot certificate, but also the instrument rating, and single-engine portion of the commercial pilot training. It is an economical choice as your primary flight training aircraft. Sunrise Aviation is currently refurbishing all the C152s in its fleet including new paint and interior and all C152s based at Jacksonville are completely refurbished. Many students enjoy flying the roomier Cessna Skyhawk (C172). Larger students will be required to fly the C172. Sunrise Aviation is using late model C172R Skyhawks at our Jacksonville location. 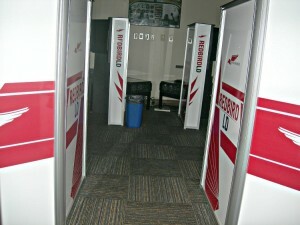 Each is equipped with a Garmin 430 GPS and HSI (horizontal situation indicator). They also have traffic alert information (TIS). The Cessna 172 Skyhawk is a four seat, single engine, tricycle gear, high wing airplane. It was first flown in 1955 and is still under production. More C172s have been manufactured than any other plane in the world. When you must have a single-engine retractable (complex) aircraft to complete your training (commercial single or CFI single) or just are looking for a trainer to ease the transition to the more complex twin engine aircraft, then Sunrise Aviation’s Piper Arrow I is the perfect choice. 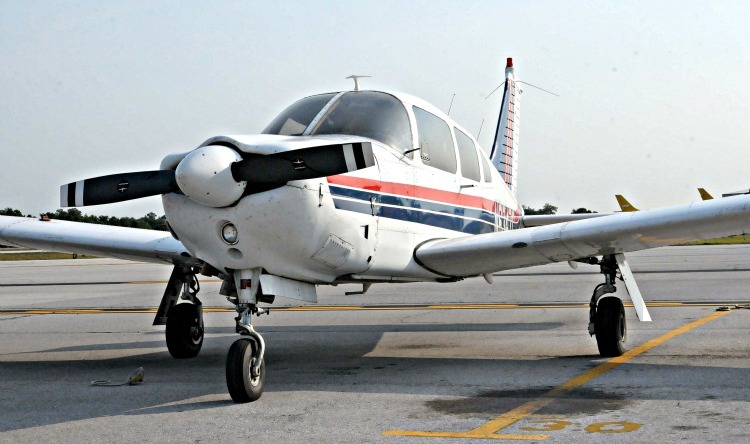 For many years the Piper Seminole (PA-44-180) has been the standard for flight schools offering multi-engine training. Unlike many flight schools that only have one multi-engine aircraft, Sunrise Aviation owns 3 Piper Seminoles (plus 2 Piper Senecas), so you know that a multi-engine aircraft will be ready when you need it! 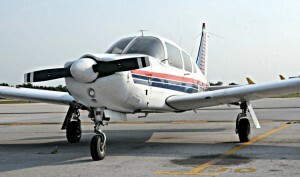 One Piper Seminole is routinely based in Jacksonville. The Piper Seminole has two 180 hp engines with counter rotation propellers for safety. Sunrise Aviation students utilize the AATDs (often called simulators) at Florida State College at Jacksonville. FSCJ has four Redbird AATDs. These may be adjusted to simulate a Cessna 172, Piper Arrow, or Piper Seminole. The AATDs are utilized extensively in most of the flight courses, but especially in the instrument rating and commercial pilot courses. 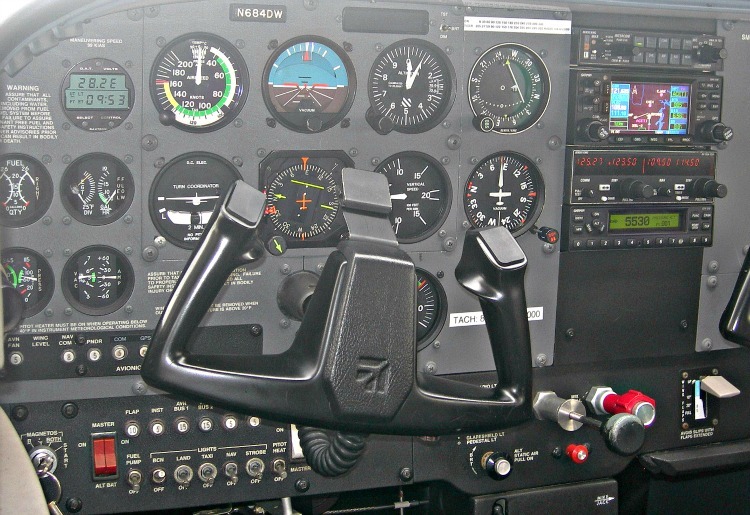 These devices will not only save the student significant training dollars, but allow the instructor to simulate weather and emergencies that are impractical or unsafe in the actual airplane. These are great teaching tools. The college also has a Frasca 242T Flight Training Device (FTD) that is set up as a Beechcraft King Air. 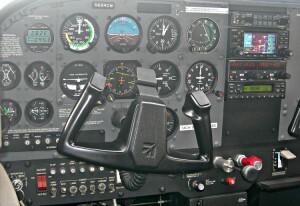 Additional simulation devices at FSCJ include an AATD equipped as a C172 with Garmin G1000 full glass cockpit, Frasca 141 with traditional avionics, and numerous BATDs (Basic Aviation Training Devices) many of which may be used by college students for free.